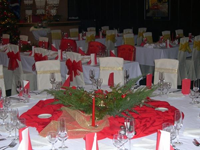 Meeting & events rooms of Hotel Slovakia Žilina are the largest in Zilina region. We offer three halls with a capacity of up to 500 participants, all equipped with modern technical equipment for successful organization of business events (congress, conferences, seminars, meetings, product presentations, press conferences, workshops) and for events of social nature (banquets, balls, graduations, family celebrations). The available equipment includes data projectors, computers with internet connection, printers, fax, copier, screens, flipcharts. As the only hotel in Slovakia we offer the rental of event rooms free of charge. Our kitchen offers popular dishes of international cuisine with the influence of Italian and French cuisine and traditional Slovak meals. Our price level corresponds to diverse events that are held in our hotel and you may choose luxurious alternative as well as simpler and cheaper option.